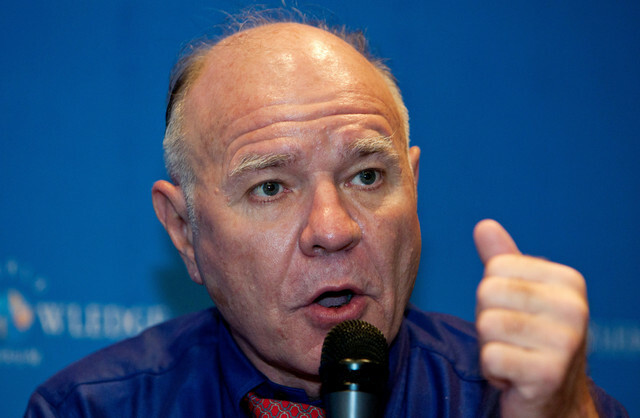 MARC FABER: Let’s specifically take the case of China. They obviously have had a huge increase of foreign exchange reserves over the last 12 years and they now have over $3tr and most of that is invested in dollars and their currency did appreciate. So in theory, they have a loss. On the other hand, because of their trade surplus with the rest of the world and particularly with the US, there was a huge transfer of technology to China as China produced for the United Sates and other countries. So as a result of this production, there was an increase in employment in China, an increase in real wages, an increase in capital spending, in foreign direct investment, and so forth and so on. So the loss on the foreign exchange is a very small price to pay for the benefits that China received over the last 12 years. Now in some other cases, yes the Asians had some appreciating currencies until recently. But more recently, they have not. So maybe they will eventually have a gain on their foreign exchange reserves because they are mostly in US dollars and the local currencies have had a tendency to weaken. If my view about the slowdown in China is correct, they could weaken much more.